← California – Day 3 (July 28): Half Moon Bay Pelagic! A recent conversation with Connecticut’s own Brendan Murtha really got me thinking about patch birding, and birding locally in general. I’ve neglected to post in over a month, so I thought it might be worthwhile to throw a few of these thoughts up on the blog. Being the second decade of the twenty-first century, the majority of us have relatively easy access to an automobile, or at least some kind of transportation powered by fossil fuels. As we birders know, a car is the backbone to a successful rarity chase, or perhaps a fun birding road trip, or even an outing to a nearby hotspot. There is little argument that a car is a factor in the success of all of the aforementioned pursuits (although car + bird = rarity, not just car = rarity). But what if a car (or any other form of transportation using fossil fuels) didn’t need to be part of these? Well, first off, lets take a step back and ask the simple but challenging question: What is a hotspot? I think we can all agree that a hotspot [in birding terms] is a location where one can find lots of birds, both in the quality and quantity departments. You may have other criteria, but for this post I think it’s fair to say that we’ll stick with this simple definition. Why are ‘hotspots’ hotspots? The secret to finding a lot of birds, be it on a big day, or on a birding trip to Texas, is to visit a number of different and varied habitats. Think about a really good birding location nearby; one where you can catch the magnificence of the spring warblers, observe the subtle beauty of the fall sparrows, and bask in the glory of the winter waterfowl. Now, consider that location. Do we find sparrows, warblers, and ducks milling about together? Not likely, at least in the literal sense. But at a good birding location we could certainly note birds as varied as these, all on the same day. It all comes down to a location containing a variety of habitats in a small area. Sure, geography generally plays a roll in defining a good location. But even a birding mecca like Cape May would not be a mecca if it did not contain all of the varied habitats that Cape May has to offer. I’ve left little doubt now that habitats are the secret ingredient to a birding hotspot. But are they really secret? Think about your local area (i.e. the radius of locations within your non-fossil fuel distance). Do two distinct habitats bump up against one another anywhere within that range? Perhaps not even two, but three, four, five. You have the makings of a hotspot. Okay, okay I’m not promising Plum Island in MA or Brigantine in NJ. I am wagering, however, that this location would likely be a fine local patch, one where you could observe many good birds, both in the quality and quantity departments. My ‘patch’ in my hometown of Fairfield, Connecticut, Pine Creek, contains saltmarsh, extensive thickets and brushy borders, stands of mature trees, dense fields of goldenrod and other congeners, a pond, expansive lagoon, and manicured fields. “Must be a fantastic birding location!” you might be thinking. And it is. But up until a few years ago, I’m pretty sure that all but a few of Connecticut’s birders would call it a place where they’d go birding, and I’m certain none of them would consider Pine Creek a hotspot. I stopped midway through reading the sentence at hotspot. ‘We definitely have some great places for birding in Fairfield, but I’m not sure I’d dub any of them a ‘hotspot’, I thought. But then I looked back on the consistent, almost weekly trips myself and a few others had made to Pine Creek in the last few years. ‘We’ve had some awesome birds for sure.’ I then thought even deeper to a trip I took to Pine Creek with Brendan last year (eBird checklist). We had a fabulous day, notching a Gray-cheeked Thrush, my first ever Tennessee Warbler for Pine Creek, and dozens of other goodies. So I guess you could consider Pine Creek a hotspot, at least based on the birds its seen. 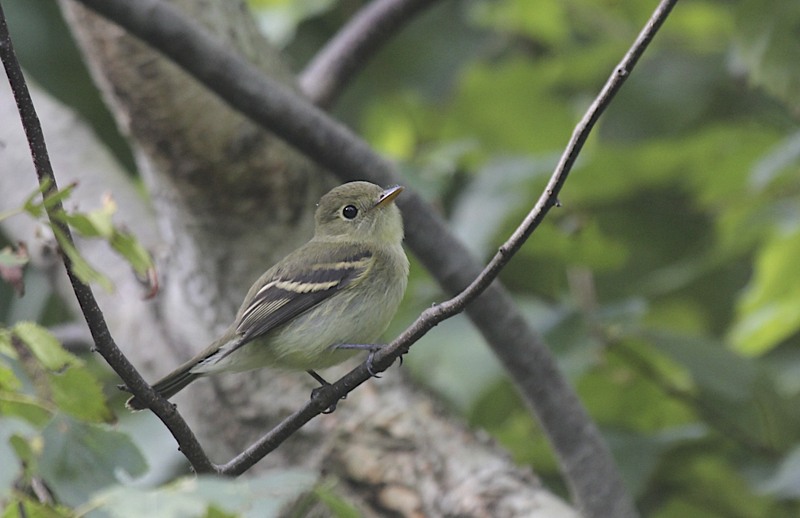 Pine Creek has hosted a number of awesome birds over the past few weeks, including this stunning Yellow-bellied Flycatcher. But would Pine Creek be a ‘hotspot’ if people weren’t there to find those good birds? If James Purcell and myself hadn’t started visiting a number of years back, would people even know about it? Now, bring that vision back to your local area, and of that location you were imagining that combines a few distinct habitats. How do you know it isn’t chock full of good birds right now, just itching to be discovered? After all, as Derek Lovitch so beautifully puts it in his recent book, How to Be a Better Birder, “If a vagrant lands in the woods and no one is around, has it been there” (43)? So, do you really need that hotspot a half hour away on the interstate to enjoy a good day of birding? Maybe that fantastic piece of habitats nearby is all you need to enjoy a terrific outing. Who knows, perhaps you’ll even have a better time finding your own birds on your own turf at this new site. And in the process, you might just attain a higher eBird checklist than your friends at the nearby ‘hotspot’! So happy you are up and running and back to educating your birding fans. Rangeley is looking very much like fall with more color in the trees daily and fall birds in the yard.The Loons are still on the lake as well as the Canada Geese but not for long. Loved this blog. Birding can now be considered good exercise too! Keep “Flight of the Scrub Jay” coming! 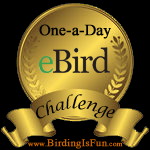 I am another young birder and bird blogger and this post has made me think, people should start doing Christmas Bird Counts, Breeding Bird Surveys, Big Sits and the like in some of these spots.